Prosecutors sought a prison sentence for Wiedeking, pictured. 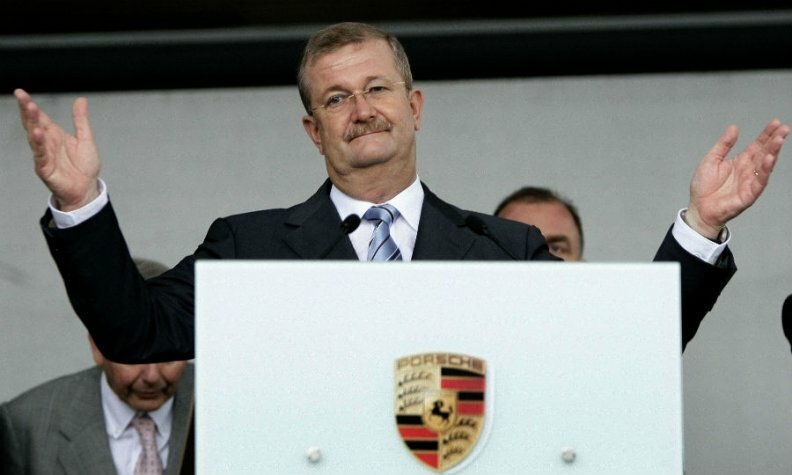 BERLIN -- German prosecutors dropped an appeal against a court ruling that acquitted former Porsche CEO Wendelin Wiedeking of market manipulation during a 2008-2009 takeover battle with Volkswagen. Prosecutors in Stuttgart, where Porsche is based, said they still believed Wiedeking and his former finance chief Holger Haerter misled investors about their intentions to control VW, but saw no chance of their appeal succeeding. However, Porsche SE compliance chief Manfred Doess said in a statement: "The prosecutors' accusations have turned out to be completely unfounded following a comprehensive clearance by the regional court of Stuttgart." In March 2008, Porsche SE dismissed as "speculation" talk it intended to take over VW. Seven months later, the holding company said it controlled 42.6 percent of VW's common shares and held options for another 31.5 percent of the stock it had not disclosed previously. Porsche was forced to abandon the takeover in 2009 when its financing unraveled amid the financial crisis, which opened the door for VW to acquire the Porsche sports-car brand in stages. Besides a custodial sentence for Wiedeking and a fine for the former CEO and CFO, the prosecutors had also sought a fine of more than 800 million euros ($887 million) for Porsche SE, which is VW's majority shareholder.